My girl recently 'bridged' from Daisies to Brownies. After two years of earning Daisy petals, her troop was ready to move on up to Brownies. They had a sweet ceremony at a nearby park. 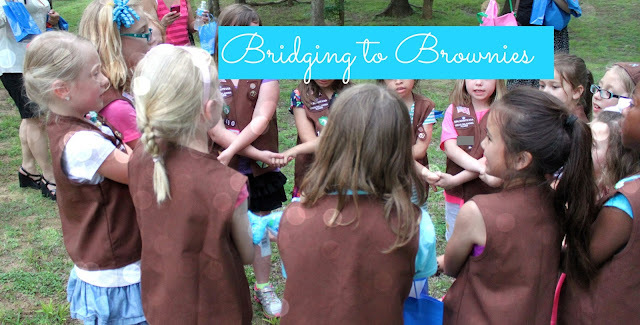 The act of 'bridging' in Girl Scouts is represented by a rainbow. So we had the girls walk across a white bridge, decorated with rainbow balloons. It was beautiful. Afterwards, they met up at the home of our 'fearless leader' for a celebration. I baked a little treat for the party. 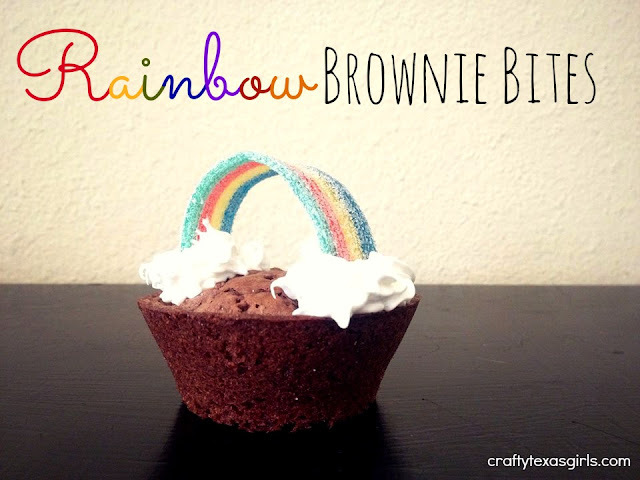 And of course, the only appropriate dessert for the occasion was a 'brownie' with a rainbow. 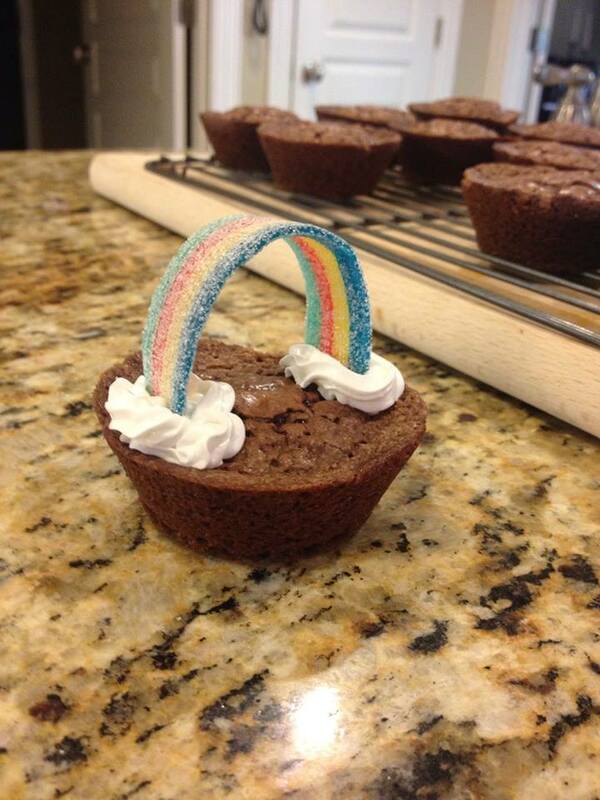 I made the brownies in a cupcake pan instead of a traditional square pan. Follow the directions on the box for cooking instructions. 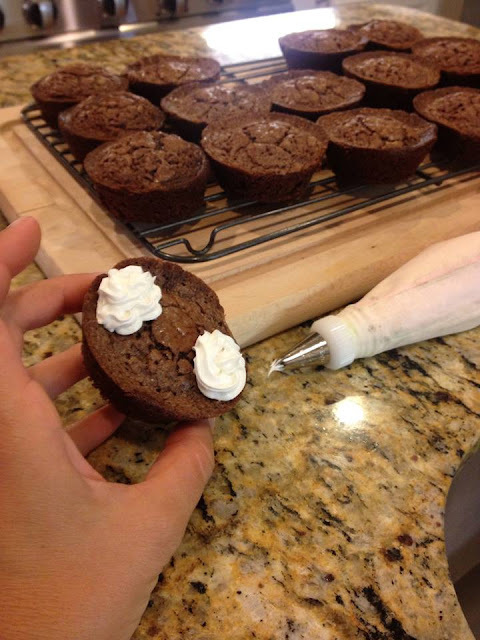 Make sure you grease the cupcake pan extra-well. Fill each cup about 2/3 with brownie batter. Since they are smaller, they cook for less time, I shortened it by almost half. After they cooled, I popped them out. I used white icing to pipe clouds. Then I added a 'rainbow' with some candy that I found at Party City. 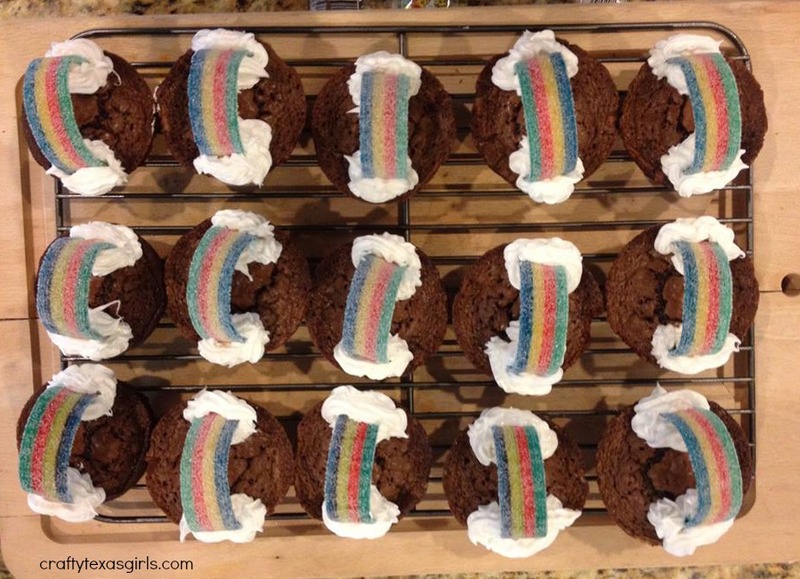 I added a little more white icing to make sure the rainbow was secure. Once it dried, the rainbows stayed in place and traveled well. The girls loved them. So proud of our new Brownies! 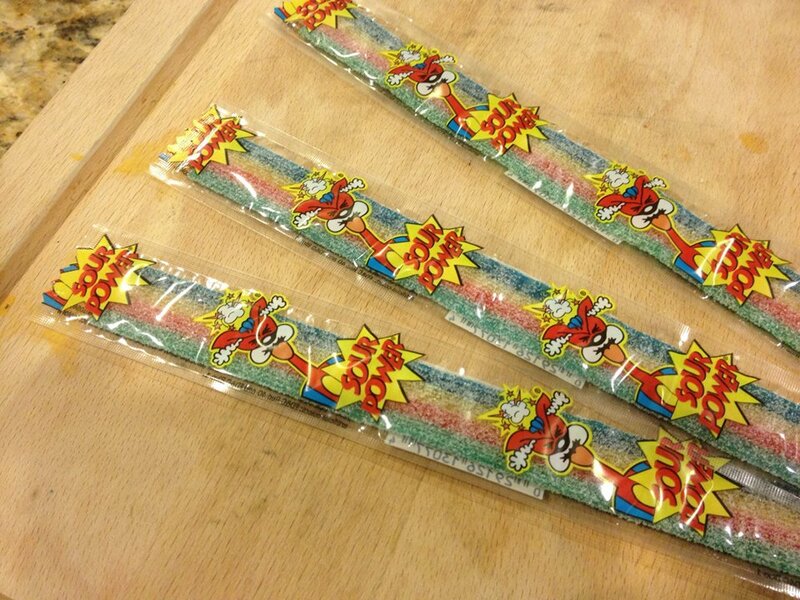 I loved these when you put them on Instagram! So happy to see the tutorial. :) Looks like they went perfectly with the celebration! Love this idea and it came together perfectly! What kind of icing did you use? 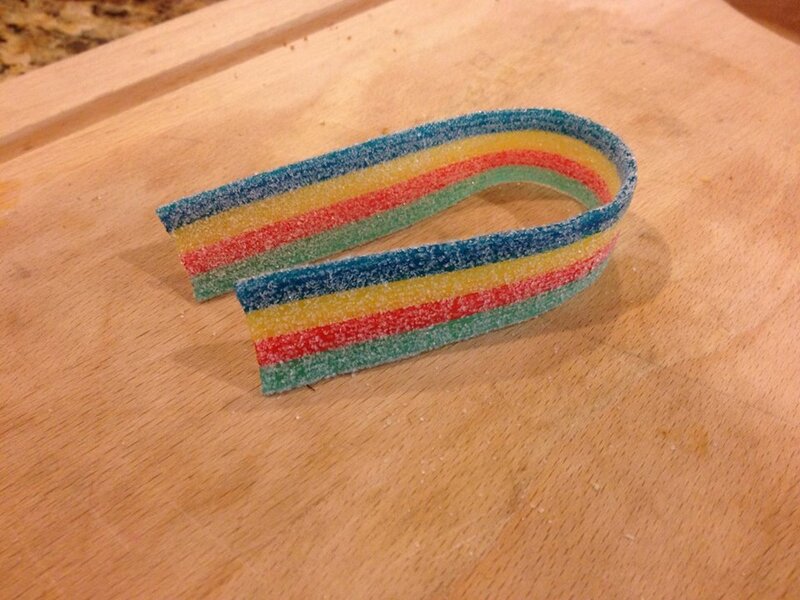 Store bought or did you make it? I'm imagining what I might use as too runny to stay in shape and hold long enough to dry.